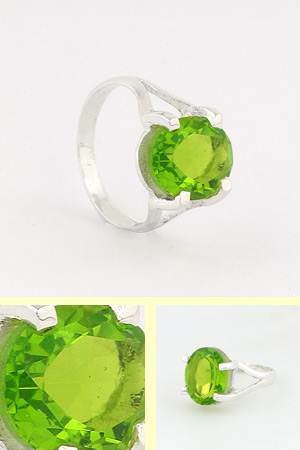 Large oval peridot ring claw set in sterling silver. 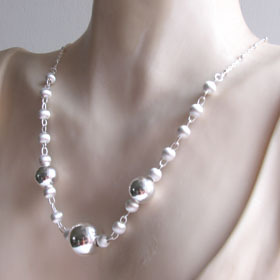 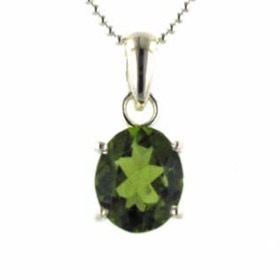 This large clear peridot is lab produced, hence the price. 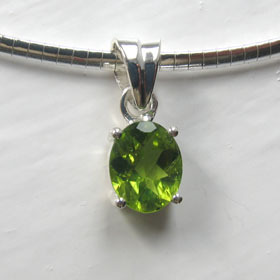 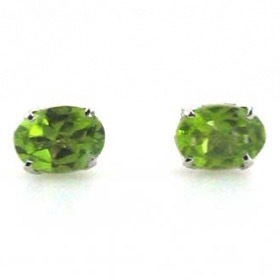 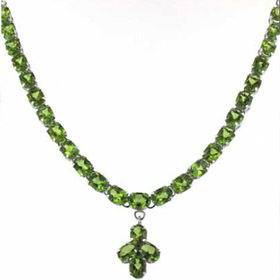 A natural peridot of this size and clarity would not only be rare but a lot more expensive than this one! 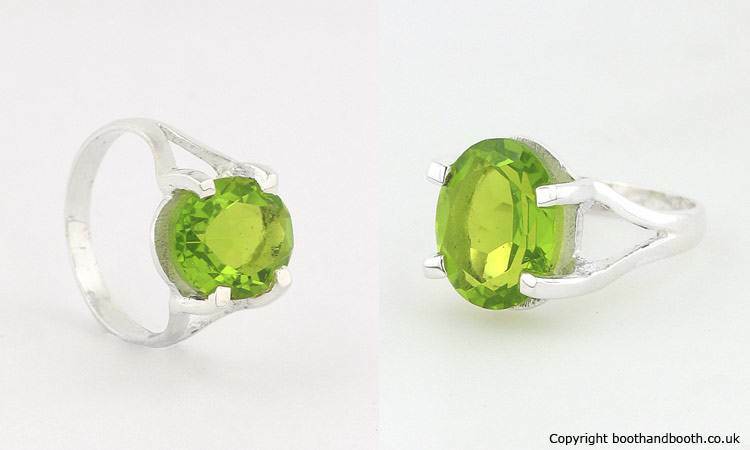 A classic solitaire design, this peridot ring will stand the test of time.